I’ve always thought of you as part of the family. I mean you’ve been around since 1950. My parents were mere teenagers when your first stand came up in Corpus Christi. I’d heard my parents experiences at different times throughout my life. As told to me by my mom, she and my dad could get a classic Whataburger for 35 cents. For an extra 25 cents, they could wash it down with a thick strawberry, vanilla or chocolate shake. “They were good,” she’d say, sighing. “ But, they were better then they were now.” And her taste-bud memory would take over and she’s describe glossy, toasted buns with crunchy edges, crisp, shredded lettuce. Not like now, as her head starts shaking, when she’d unwrap a burger and find a squashed bun and clumsy chunks of lettuce. As far as my memories go, I remember the five of us pulling into the parking lot after a long family trip. We’d all order burgers and shakes at the Whataburger off SPID on Airline. And in 1999, when I was a senior in high school, the “Whataburger by the Bay” opened up and the whole city made the trek down Shoreline Drive. I mean this one sported an elevator and outdoor seating on the second floor. Believe me, you’ve never experienced Whataburger until you’re eating your burger with the salty breeze from the bay hitting your face, all the while keeping a wary eye on the vulture-like seagulls hovering above. 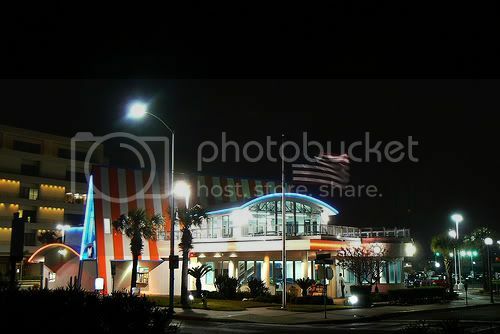 In fact, that year my best friend and our dates had dinner there after the homecoming dance on the Lexington. Come college, I was living in San Marcos and you’d already expanded your menu to include taquitos. Being raised on the real stuff from my mom and the tacos from local taquerias in Corpus, I didn’t judge that your potato in your potato and egg tacos was just cut up hash browns. In fact, when my dorm mates suggested a taco run I went along and doused mine with as much hot sauce as the poor, little, mass-packaged tortilla could handle. But now, I can’t do it. At least, not right now. I mean, I know Corpus can be the biggest, small city you could ever live in, but it’s got personality. I used to enjoy the look of surprise on people’s faces when I’d tell them that you were from Corpus too. Oh, if they needed proof? I’d say just check the fine print on one of the little takeout ketchup tubs, and you’d see the city listed right there. And now, if you need proof of how your leaving affects Corpus, just check out the disappointed faces of people in town. P.S. Um, next time may be when I get a BOB craving, ’cause those are good. Damn you, Whataburger!! Senior Editor – Angela Maldonado hails from Selena Town, aka Corpus Christi, but has made Austin her home since 2002. Her background is in journalism and radio, formerly serving as a producer for NPRâ€™s Latino USA. In her stint with the show, she interviewed some awesome bands and had a nice chat with Joan Jett. In her previous life as a media gypsy, Angela wrangled huge inflatables on radio remotes, ran live broadcasts, promoted books and worked as an editorial assistant at the Austin American-Statesman.